Today you don’t have to create something revolutionary and brand new to become successful in the mobile development industry. It’s more important to be smart about the ways you use to make your conversion rate constantly grow. An ASO (App Store Optimization) audit is an excellent solution when it comes to mobile apps and games. It helps to analyze your app indicators, your competitors’ apps, what keywords work, who gets more positive reviews, etc. 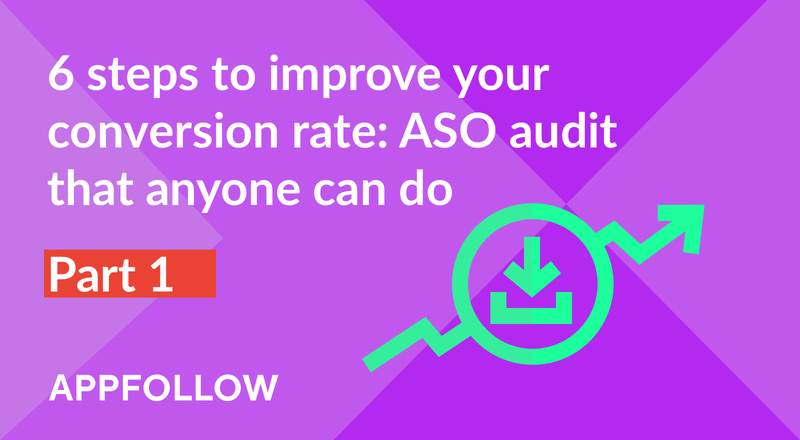 Conducting an ASO audit can also inspire those who seem to have tried everything. Here we have gathered the examples of how an ASO audit can help boost your app conversion. 1. Keyword optimization: Analyze the title, subtitle, and description of your app. Do your research and find what keywords will get you higher ranks and what your competitors use. 2. 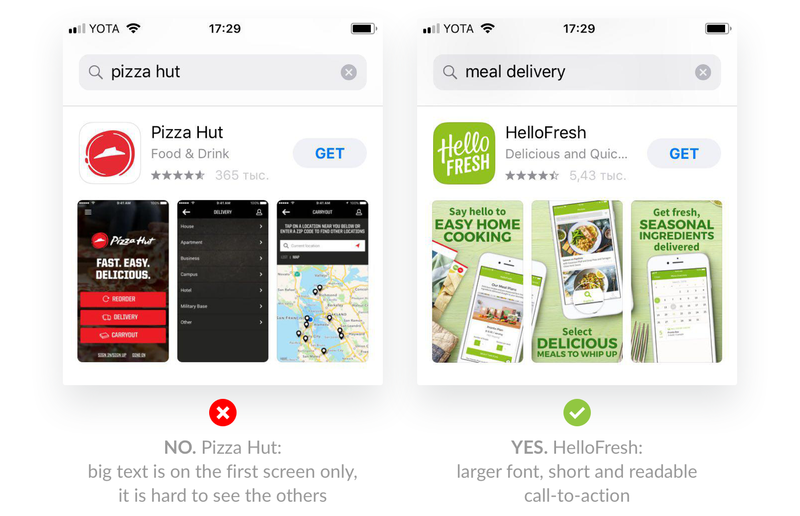 Graphics optimization: Search for whether there is anything you can change in your visual assets such as an app icon, screenshots or promo banners, and what can be improved in order to attract more users. 3. Click-to-install conversion rate: Compare your current ASO indicators, user acquisition channels, and conversion rates with the average in the market and in your app category. 4. Ratings and reviews monitoring: Examine your ratings and reviews, featured reviews, and your competitors’ apps reviews, and discover how to improve them. 5. Uninstall rates: It’s important to know how and why your users deleted the app, and what actions can be taken in these cases. Come up with ideas on how to encourage them to reinstall it. 6. Final report: Summarize everything that has been conducted, what KPIs need to be increased after each step of ASO, and where to get extra traffic. This step helps you to see the whole picture and start working on your ASO strategy. In this part we are going to touch on the first two basic steps. The other steps will be described in the next post. Recommendations were made by AppFollow ASO experts based on their three years of experience in apps and games optimization. For the audits we used apps pages from the App Store, Google Play and AppFollow ASO Tools. We gathered app data from March to August 2018, so it may differ from the current data in the app stores. Let’s have a look at the example of text optimization for the Favor app. Here we look at only the App Store part, just to show you how you can do it yourself. We started by collecting relevant search requests from AppFollow Suggestions. This is how your users will look for your app in the store. The Position column shows how high the app will be displayed in Search when a user looks for the keyword or phrase. This step will give us a clue which keywords are the most popular, and which ones are so far missing. Only eight keywords have Favor in the top 20 search results, and none of them in the top five. It is not enough for users to just find the app in search. The solution: To improve the app’s positions and visibility, add more keywords in the title and subtitle. 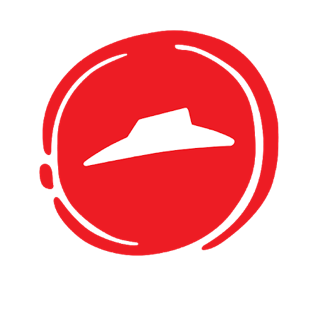 21 of 30 characters — the keywords “food” and “delivery” are added. Tip: It is essential to keep keywords in the same form and conjugation as the users type them. For a search engine, “subscription” and “subscriptions” are different requests. 0 of 30 chars — the app doesn’t use it. The solution: Add the remaining important keywords that aren’t used in the title. Look for “meal” or “order” keywords, or spy on what your competitors have been using. All 100 available keywords are used. You can either remove unpopular keywords or add more relevant ones. The most significant keywords can be added to the title or the subtitle. 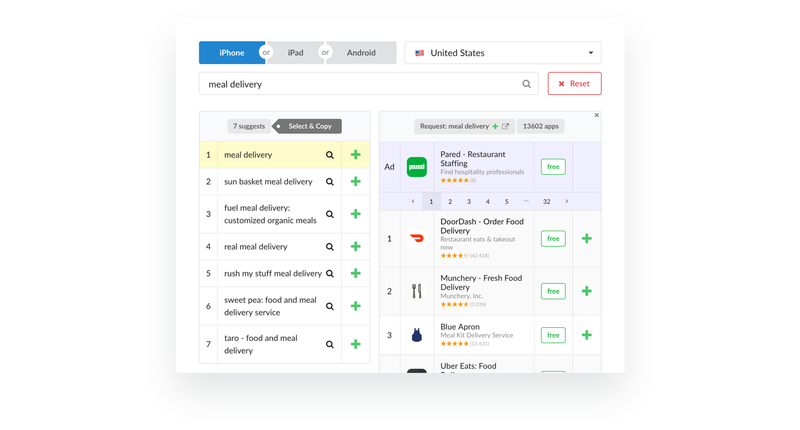 Add more keywords from our spreadsheet above, or “meal delivery” suggestions: “food”, “grocery”, “organic”. 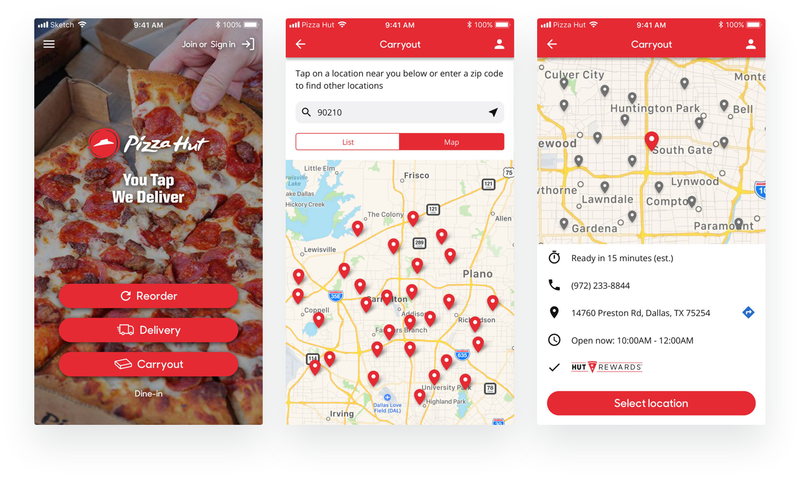 To understand how graphics optimization can help, let’s look at the Pizza Hut app. The data was taken in August 2018. An icon is crucial for your app, as it is the most recognizable part of it. Using a logo is smart; it is going to be immediately associated with your brand. You cannot really change much about the logo, but play around with the background color, fonts and sizes. A/B testing will help you to find the best option. Promo banners are the first thing that users see, so it is the perfect location for putting out your call to action. Save this place for appealing graphics and do not put screenshots there — they should be used in a separate field. Video would be an even better option. You can use it instead of a banner and check how the conversion rate changes. Tip: When working on a video, make sure that freeze-frame shot looks fine. The Play button must be right in the middle of the shot without overlapping a logo or any text. 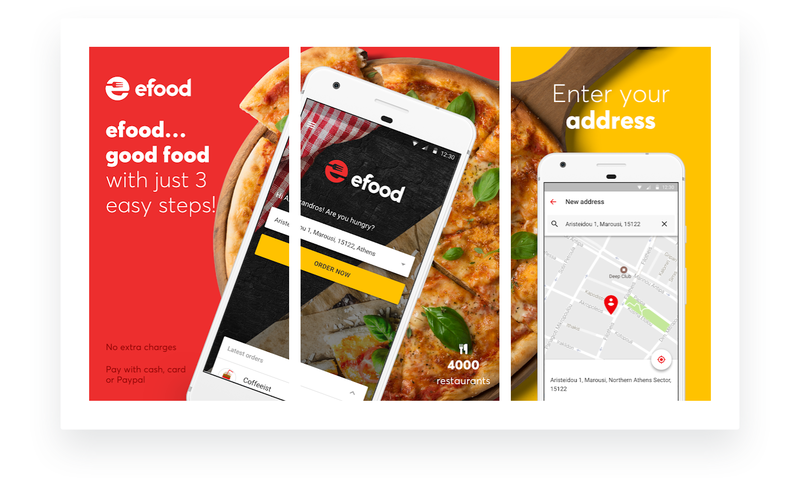 It’s always better to use screenshots with smartphone mockups, with a short promotional text of the benefits your app has to offer. Add short promotional descriptions on the screenshots to explain what value the app can give to users. Add a video instead of the first screenshot. In the App Store the app has the same icon, but with different screenshots. 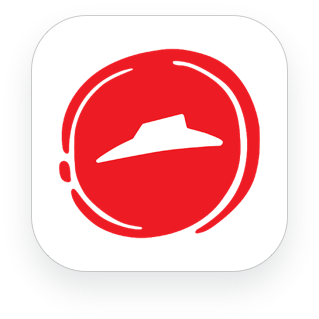 Pizza Hut does not have a banner in the App Store. If your app does have one, a good option would be to use different promo banners for each store. Here again are screenshots without smartphone mockups or short descriptions of the app’s beneficial features. That can be improved. 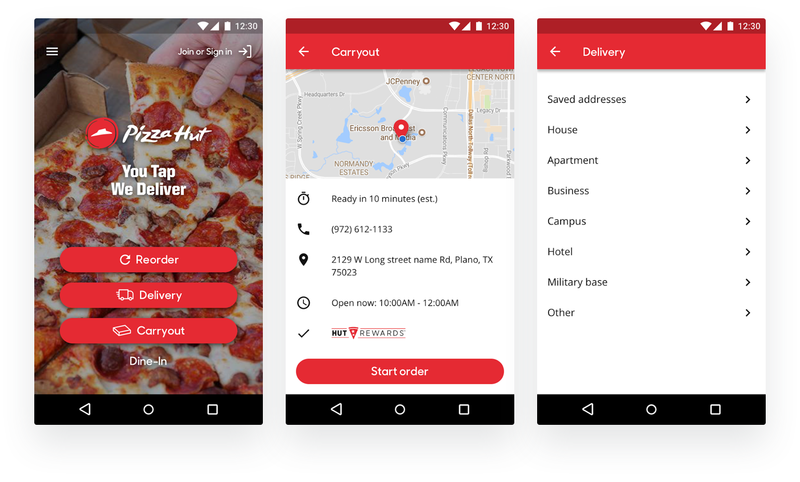 Add smartphone mockups and short promotional texts. Try to use screenshots in landscape layout with a larger text field. Tip: Make sure your text looks good enough on the search results page. Long text in small font is hard to read, especially if a user just scrolls the list of apps. Try AppFollow App Preview to check how graphics look before publishing. All these steps have proved to be effective and have helped our customers to feature in the top downloaded apps. Be bold and play around with both text and visuals. As trends change quickly, use analytics tools to see what users do and do not like. In this way you can always be up to date and will be able to realize what can go wrong before your numbers go down. Taken all together these steps can get you positive dynamics quickly. However, it might be difficult to define which word, screenshot or banner specifically worked better. That’s where A/B testing comes in. It will help to change how users react to every change. The App Store allows you to test titles, screenshots and texts with tools such as SplitMetrics, StoreMaven or Raise Metrics. SplitMetrics is really good at providing results in a short period of time, but it requires a lot of investment. If you are money-savvy, use AppFollow ASO Report. This tool will give you the opportunity to monitor all your data consistently. We also recommend that you try AppFollow App Preview. In this way you will get an idea how your visuals and texts look before the release. In our next article we’ll see how reviews and ratings affect users, how you can get more positive feedback, why your apps may get deleted, and how to avoid it. Meanwhile, contact our awesome ASO team to get a free consultation. May ASO and AppFollow be with you!